Harmonizing sensuous shades with a veil of color, Lip Color Sheer delivers an irresistible semi-sheer effect that complements luminous skin. A decadent mix of vitamins c and e and shea butter helps lavish lips with saturated moisture. The clutch-sized lipstick bullet is encased in ivory-and-gold colored packaging. 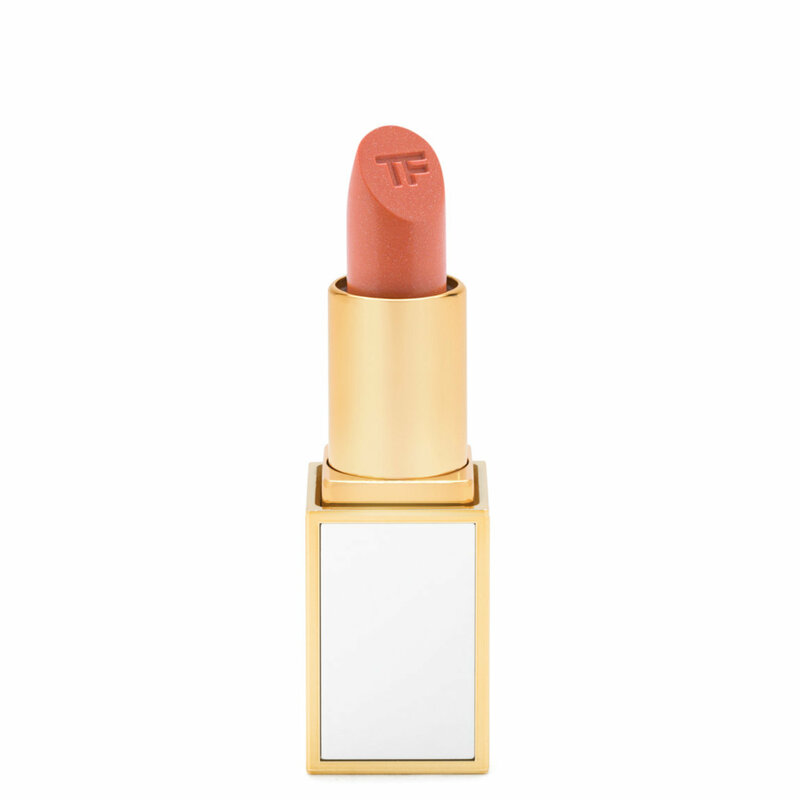 Have a question about Tom Ford Lip Color Sheer? I have really dry lips and have lately been over the super matte lip look. I wanted something that looked like almost a natural burst of sheer color on the lips to compliment natural makeup. This is the perfect lipstick for that. I have a lot of trouble finding shades that last long, have high color payoff, but wear like a balm. This lipstick is a really beautiful coppery coral color. It feels good on the lips, and it's not so sheer that you can't wear it alone. For the price and the size of "lip balm" not a product of value. It is nothing special, it goes on clear although it is suppose to have some sort of color to it. The size is another issue, wow, talk about tiny. The container is tiny, the lipstick is thin and tiny, apply with a brush or it breaks! Right off the bat it snapped in half, I stuck it back in the container, and use my lip brush. Too much $$ for too little product.